The following terms and conditions may be revised or updated at any time. I encourage you to check back often to ensure that you are familiar with the most recent version. Information on Gympressions should not be construed as medical advice. Consult a physician before beginning any exercise program. I am open to reviewing products and services related to the topics of my blog. If you have a product or a service that you would like me to review, or an event that you would like me to attend, I ask that you email me at gymbelle@gympressions.com. I cannot guarantee that I will write about the product, service or event, and, naturally, any posts I choose to do will reflect my experiences and honest opinions. I don’t censor comments based on point of view. I do reserve the right to delete those comments that I deem in my sole judgment to be irrelevant, spam-like or just plain rude. Once a comment is made public on Gympressions, I will not remove it by request. As a commenter, you are responsible for your own communications and the consequences of your comments. You may provide personal information including your full name and email address to Gympressions in various ways including: (1) by sharing your e-mail address and other personal information when you use the Contact Form or (2) by sharing personal information when you post comments. Gympressions may also ask for other information at other times, but at no time will you be required to share any personal information to gain access to the site. The email address that you use when contacting Gympressions will not be used for any reason other than responding to your inquiry. I do not sell individual personal data or email addresses. In addition to basic contact information, Gympressions’ analytics trackers may also collect other information. This may include your location, IP address, the operating system you are working on, the Internet browser you are using, and the screen resolution of your computer. Such non-personally identifiable information may be shared in aggregate form with Gympressions’ business partners, but your personally identifiable information will never be disclosed to them. Keep in mind that any information you disclose in comments becomes public information; Gympressions is a public forum. All information sharing is optional and done at your own risk. I encourage you to be careful and responsible when disclosing personal information online. 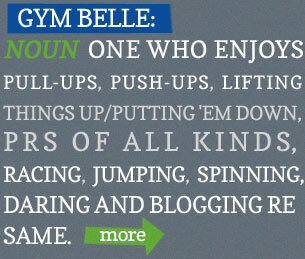 The posts on Gympressions reflect my experiences and honest opinions. Unless otherwise disclosed in the relevant post, I do not accept money, discounts, free classes/memberships, passes, merchandise or other consideration not available to the general public. I provide links to the web sites of others as a courtesy to my readers and do not receive any compensation therefor. For 2013, I have become a FitRep for FiTMAPPED. As a FitRep, I recieve free classes and other consideration in exchange for providing honest reviews of the gyms and studios. You agree that: (1) your Submissions and their contents will automatically become my property, without any compensation to you; (2) I may use or redistribute the Submissions and their contents for any purpose and in any way; (3) I have no obligation to review the Submission; and (4) I have no obligation to keep any Submissions confidential.